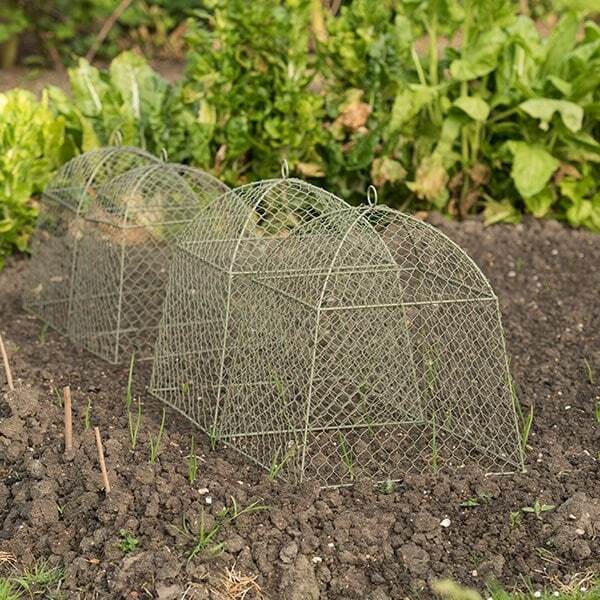 These very popular domed wire cloches keep hungry deer, birds and rabbits off precious crops. In urban gardens they are useful for stopping the dog or cat trampling on your young plants. 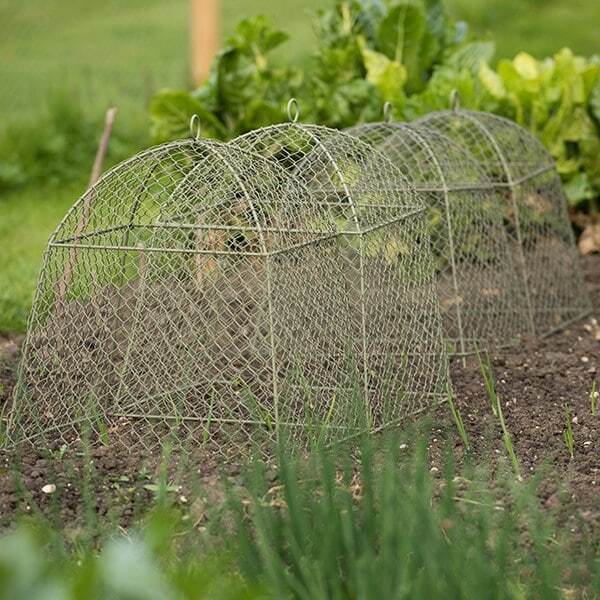 The 50mm spikes protruding from each corner can be pushed into the ground to help anchor the cloche in position. The ring on top is perfect for carrying them around the garden or hanging them in the shed when not in use. The two sizes of cloche can be used with the relevant extensions listed below to increase their height. Perfect for small fruit bushes. They are produced from a steel rod frame seamlessly woven with a wire mesh and powder coated. The cloche is currently in use protecting some spinach plants from my hungry hens. Attractive and useful, as long as you don't mind the rusty look (it will rust). 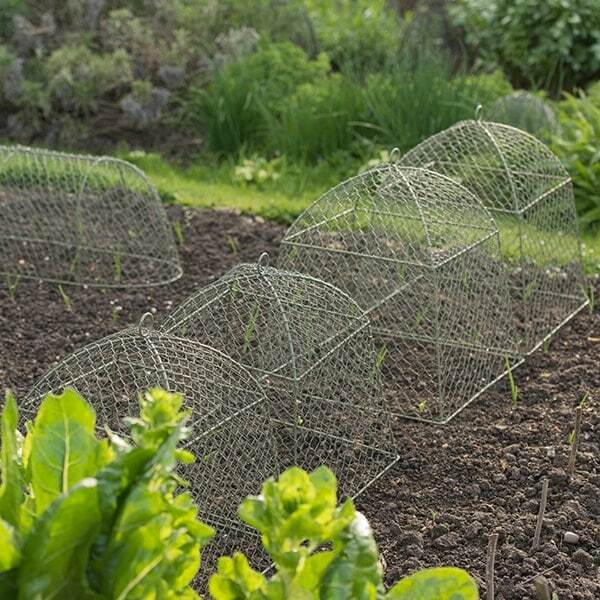 Love these cloches. I use them to protect all my new or young plants from various wildlife. They even keep next door's fox off my favourite plants! 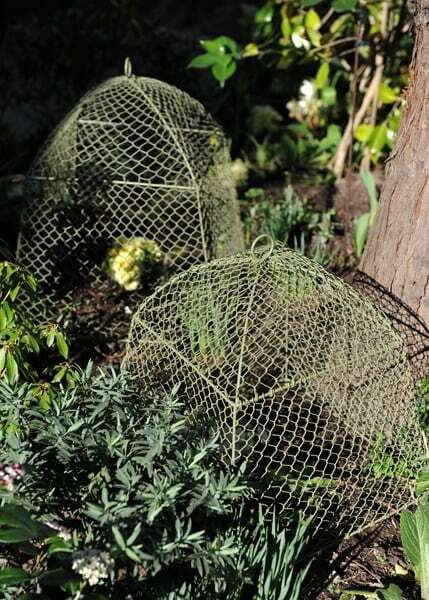 I used these to replace old bamboo cloches that fell apart. I bought one of each size. They are useful and versatile to protect young plants. I don't think they are quite as attractive as bamboo but they are attractive enough and will hopefully last longer. I would recommend this product . 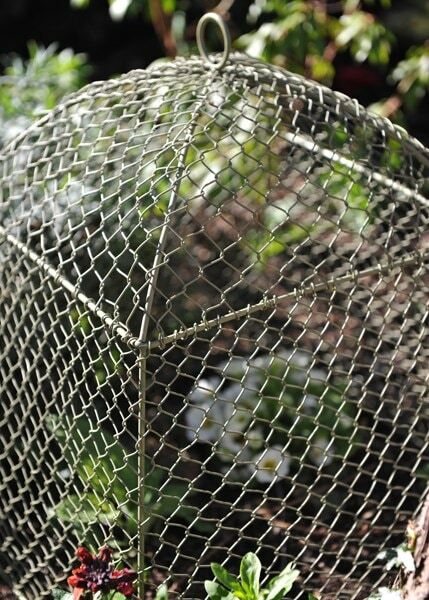 The cloche was very useful , I used it to protect the site in the garden where my tortoise had laid eggs ! I didn't want the cats digging them up by mistake . I have also used it to protect patches of my camomile lawn when squirrels have been hiding conkers in amongst it and damaging the little plants . Wish I'd invested in them years ago! 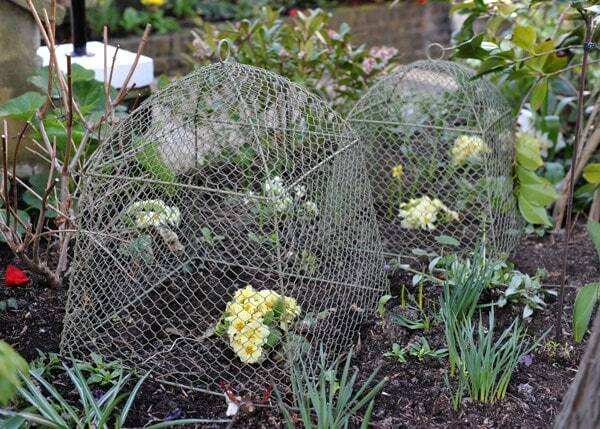 Cloches protect not just from rabbits, but marauding cats, pigeons, crows, pheasants. 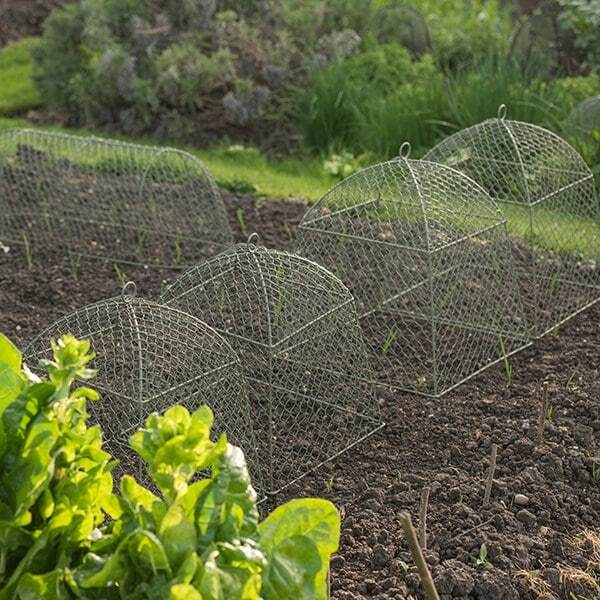 Especially useful for young outdoor cucumber, pumpkin, courgette plants, clumps of sweet peas, dwarf beans etc in a cottage garden. This was for a gift. Whether rabbits were deterred history does not relate, although I do believe plant for which it was intended is thriving. 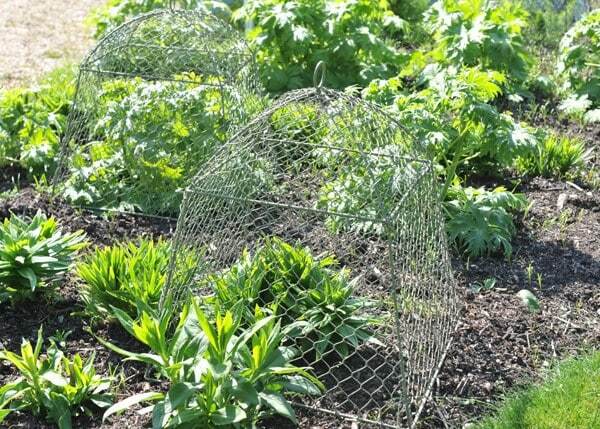 The cloches provide excellent protection from my free ranging hens for my tender perennials until they become established.